The record for the oldest skydiver in the world is now held by a 102-year-old Australian woman named Irene O’Shea. After her daughter passed away from a motor neuron disease, O’Shea took her second, record-breaking plunge from an airplane in attempts to raise money for a charity researching ALS and other neurodegenerative diseases. The charity is known as the Motor Neurone Disease Association of South Australia. Her first jump was on her 100th birthday and, a few years later, she decided to jump again, but this time, bundled up in a cute, cable-knit sweater. Both times, O’Shea jumped from 14,000 ft at SA Skydiving’s Langhorne Creek Dropzone with Jed Smith as her instructor. The two fell at approximately 136 mph before the parachute was deployed. Irene became the oldest skydiver at 102 years, 194 days old. The dropzone describes her as an absolute joy to have around. And when O’Shea is asked if she is an adrenaline junkie, she responds with, “as far as I’m concerned I’m the same as everyone else, just a normal person”. You can see from the video, the smiling 102-year-old woman is living her best life and enjoying every moment of it! 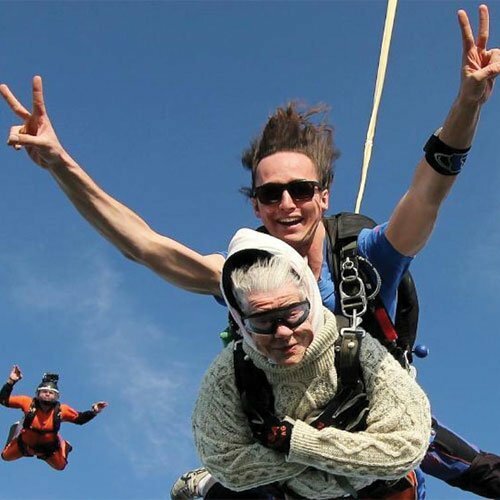 Not only does this centenarian motivate hundreds of other people to take the most exhilarating leap of faith, but she also made sure that it was for a good cause! Don’t let a little, old lady show you up! 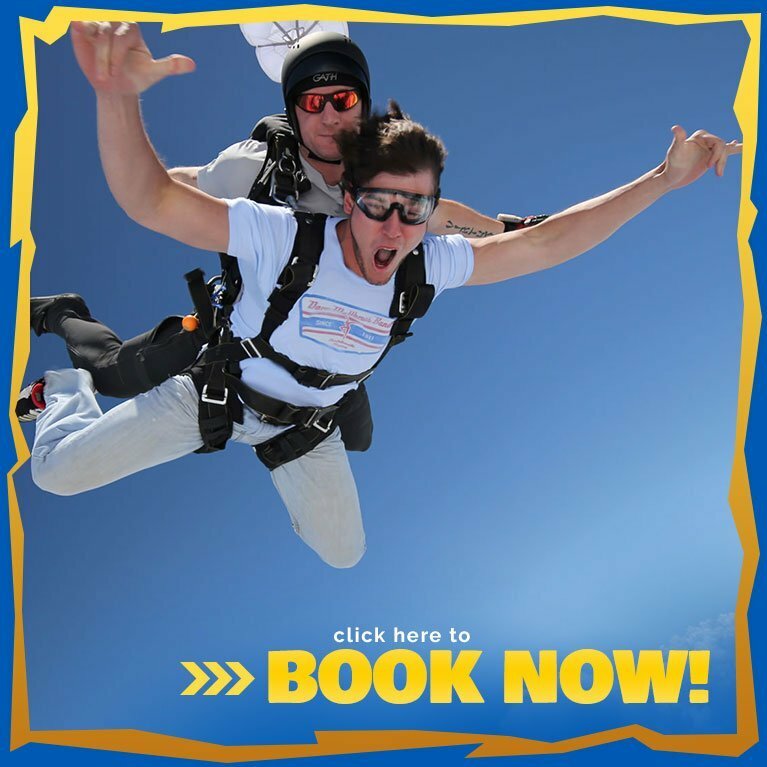 It’s never too late to be like Irene O’Shea and take a leap of faith with Skydive Philadelphia! Get started today by calling 215-258-2255.